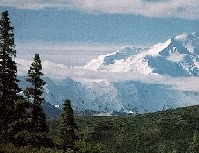 TRAVEL.org - Travel to Alaska. Find Hotels, Tours, Alaska Cruises, and activities throughout Alaska. Travel Alaska - Alaska Tour and Travel - information and reservations for vacation packages, railroad trips, tours, and cruises for destinations across Alaska. Alaska Travel Guide - Statewide directory of Alaska lodging accommodations, wilderness lodges and guided adventure tours. Alaskanet.com - providing Visitors with information on the State of Alaska. Arctic Wild - Rafting, Canoeing, Hiking and Wildlife trips in Alaska's greatest wilderness areas. ANWR, Gates of the Arctic, Katmai and more. AlaskaOne.com - Alaska Internet Travel Guide. Alaska Cruises - Find cruise information, reservations, rates and more. Great pre and post cruise land tours and railroad trips. Cities, towns and villages - Alaska Community Pages. Marriott Anchorage Downtown Hotel - Get away to Anchorage Marriott Downtown & discover one of the premier hotels in Anchorage, Alaska. With stunning views, an indoor pool, state-of-the-art event space & on-site dining, our Anchorage hotel's amenities make it easy to work and relax. Alaska Sunset Cabins - (Kasilof, Alaska near Kenai and Soldotna) Planning you Alaska vacation? Stay at Alaskan Sunset Cabins! All cabins are clean and sit on the bluff over looking Cook Inlet. Puffin Inn - Anchorage - This Bed and Breakfast in Alaska is located in Anchorage and offers perfect accommodations to enjoy scenic attractions in the area. Book today! Princess Lodges - Five Alaska Lodges & Hotels in Copper River, Denali, Kenai, McKinley and Fairbanks. Qupqugiaq Inn - A truly unique lodging alternative right in midtown Anchorage, with remarkable architecture and community atmosphere. Anchorage Hotels and Accommodations -Discounted rates on Hotel rooms, Car Rentals, Flights, Vacation Rentals. Discountedhotels.com, your complete travel resource. Katmai Wilderness Lodge - World's Most Spectacular Bear Viewing and Fish With The Bears.